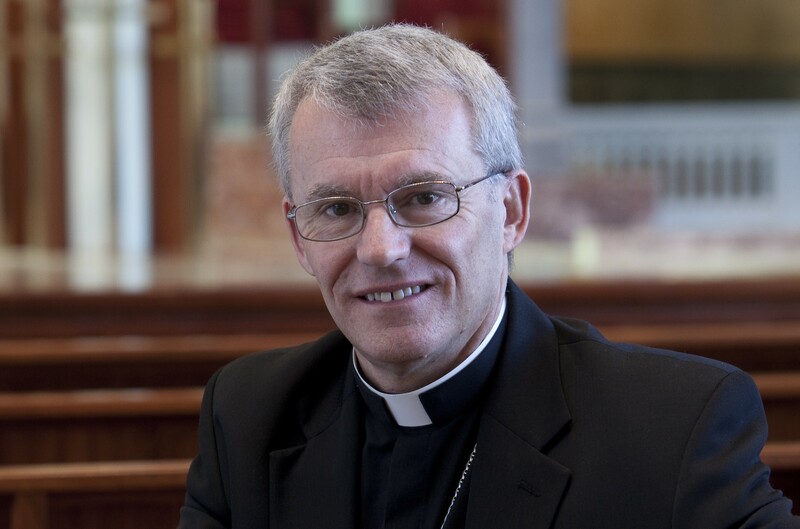 Archbishop Timothy Costelloe SDB has been elected to the Australian Catholic Bishops Conference Permanent Committee. Bishop of Port Pirie Gregory O’Kelly SJ was also elected to the Committee, joining Archbishop of Brisbane Mark Coleridge, Archbishop of Canberra-Goulburn Christopher Prowse, Bishop of Darwin Eugene Hurley and Bishop of Wollongong Peter Ingham. The elections took place during the plenary meeting of the Australian Catholic Bishops Conference, which was held from May 4-10 at Mary MacKillop Place in North Sydney. During the meeting, the Bishops of Australia also re-elected Archbishop of Melbourne Denis Hart as President of the Australian Catholic Bishops Conference for a two-year term. Archbishop of Adelaide Philip Wilson was re-elected Vice-President of the Conference for a further two-year term. Speaking during the Australian Catholic Bishops Conference plenary meeting, President Hart said: “I thank my fellow bishops and diocesan administrators for their dedication and commitment in governing the Australian Catholic Church at a time when we are facing many challenges”. Over the course of the meeting, the bishops discussed various issues including the treatment of asylum seekers, the Royal Commission and evangelisation. “With prayer and planning we trust that our discussions and decision-making may be guided by the Holy Spirit,” Archbishop Hart said. Following their plenary meeting in North Sydney, the Australian Catholic Bishops travelled to New Zealand to attend a week-long meeting of the Federation of Catholic Bishops Conferences of Oceania.